Alphabet’s autonomous vehicle company Waymo has been testing self-driving cars and other vehicles on public roads across the United States for months. However, Waymo has now decided to expand its self-driving program beyond passenger vehicles and introduce trucks into the mix. The announcement follows closely on the heels of Uber who also said this week its self-driving trucks are ferrying cargo in the US already. Waymo first put autonomous trucks on public roads in Phoenix to train the self-driving software and help it acquainted itself with handling trucks, with its payloads, back in fall of 2017. 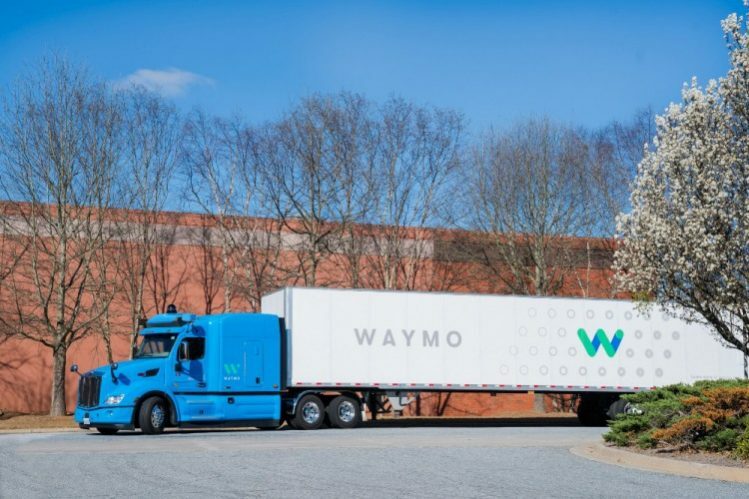 With all the data captured and trips completed, Waymo is now putting these self-driving trucks to use in the real world – in Atlanta. [This partnership] will let us further develop our technology and integrate it into the operations of shippers and carriers, with their network of factories, distribution centers, port, and terminals. Just like Uber, the self-driving trucks won’t be entirely driverless on their journey to Atlanta but instead, high-trained truckers are going to monitor from within the cabin and take control if the need arises. If you’re also curious about the tech, the autonomous trucks have also been custom-fitted with sensors/ camera systems used in their passenger cars. Waymo’s custom-built hardware and software has enabled the company’s cars to go fully driverless in Arizona and it’s planning to go fully autonomous sometime later in 2018. 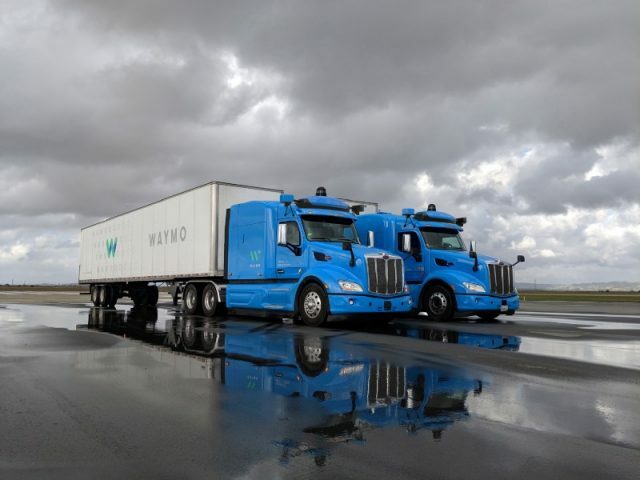 Even though the software was initially designed for cars, it has now been trained to drive big rigs in pretty much the same fashion a human driver would after years of driving their cars, says Waymo in its official blog post. It has perfected braking, turning, and blind spots detection after a loaded trailer was added to the truck. This will enable them to go head-to-head with their arch-nemesis Uber, who debuted its own trucking business last year.